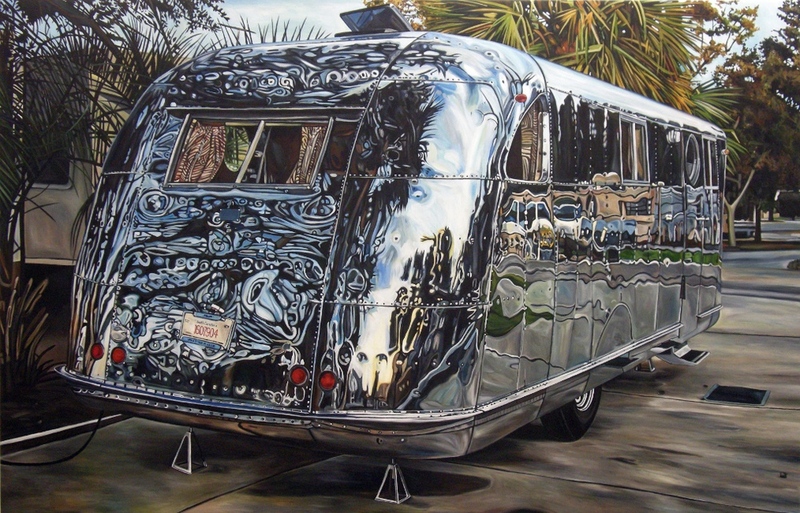 This painting series is based on polished aluminum trailers from the mid-20th century. 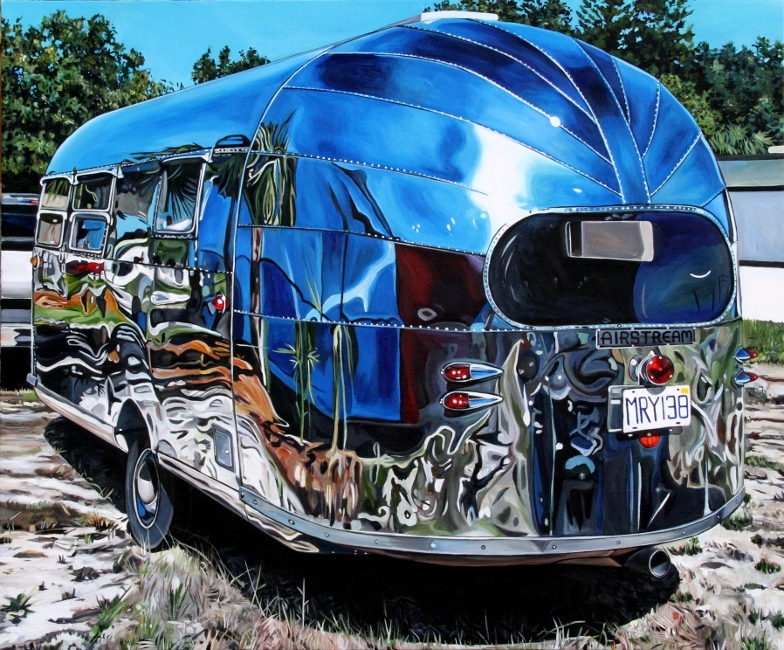 Inspired by amateur photographs taken by Airstream enthusiasts, each painting emphasizes the distortion visible in the highly reflective metal. 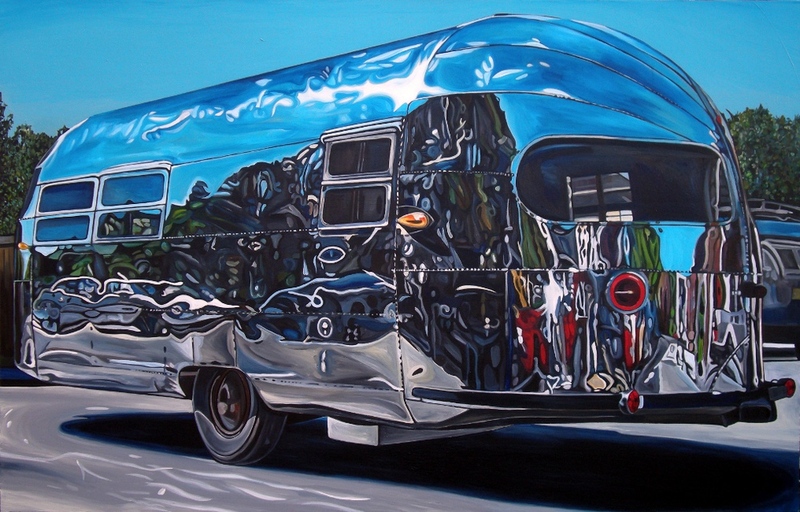 In a way, the airstream imagery highlights intersections between Post-WWII aerodynamics, Art Deco design and Primitivism. 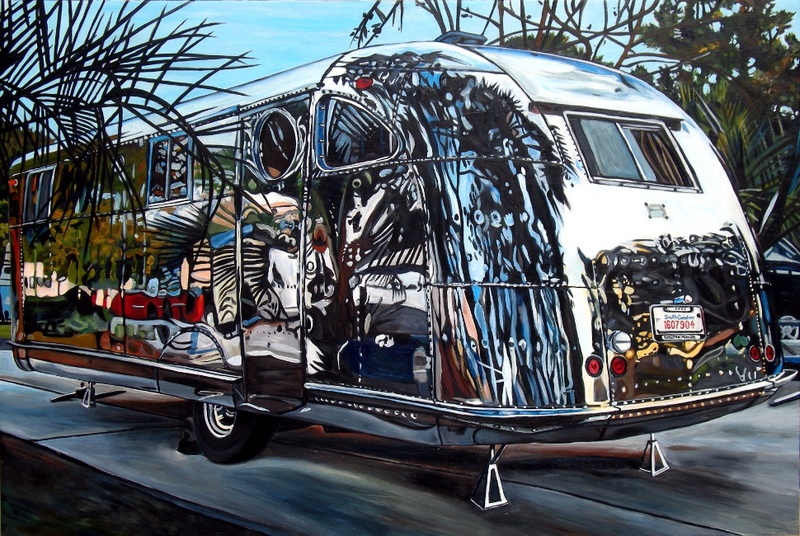 These compositions create an object-ground relationship similar to animal mimicry, where the trailer hides in its surroundings through reflection. In this way, the paintings reference concepts in historical Surrealism, such as animal print camouflage, doubled imagery and formlessness. Given the degree of distortion, the metallic surface becomes an arena for hallucinatory paint forms that slip away from recognizability. The viewer is presented with the imaginary pictorial space behind them. Either the perceived vantage point is from an odd disembodied gaze, or the visible mirrored body is faceless, elongated, and in a precarious environment co-habited with the unknown.